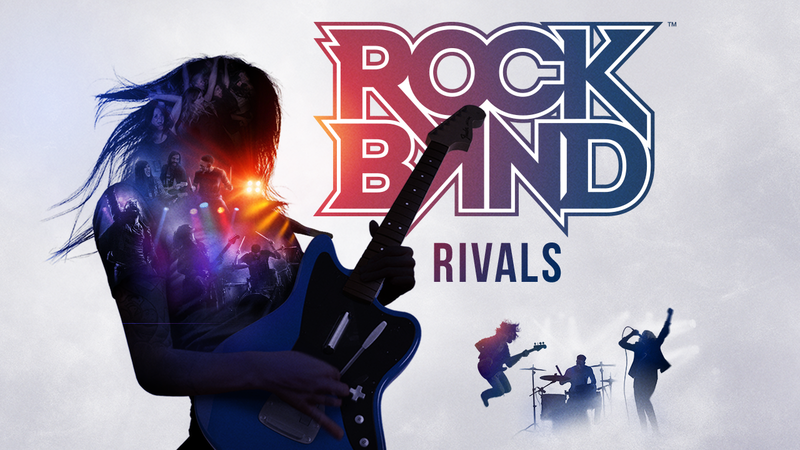 Not so long ago I did a review for Rock Band 4 after picking it up in a sale for just under £30.00, with me finding out while reviewing it that some expansion DLC was on the way for it very soon. Since reviewing the game due to events at home and things going well in regards to obtaining review code for the site, I've only been able to get back on this a handful of times but wanted to see if this DLC added to the game at all in any way. This time of year is when these games get dusted off and used the most, with family members coming over for Christmas and New Year, and us gamers dying to share our love for our silly party games if we can. This DLC costs $29.99/£23.99 on the Microsoft store, with it offering a couple of new things to play with, but this review will be a very short one that's for sure. I've sunk most of my time of this review into one of the two new modes available, with the Rockudrama"Behind The Tuneage" being the new career mode found in this expansion being the one I've played most. I'm not as down with the kids as I was used to back in my prime, so maybe the humour in this was lost on me, well that or it just wasn't funny. I found myself half the time watching the cut-scenes feeling the cringe hitting me hard, with a story that follows your created group through the highs and lows of their career. You basically pick songs to play and score well to progress, with it feeling like just another mode that offers nothing at all special the more you play it. It's certainly better than any career mode found in the standard game that's for sure, but not to the point where I can see myself playing through it again anytime soon. The second part of the DLC was the rivals mode, which sees you being able to join a crew with up to ten friends and jam out to weekly challenges to rank up into higher tiers. Do well and your crew will be high in the leaderboards and unlock new badges, but as a solo guy without knowing people who have the game and DLC this was a very lonely experience. Sure it makes you play songs in your library, but unless you know friends with the game your crew will see just you jumping on each week to tackle songs to score the best you can on them. The much awaited online play has seen a delay, with January 25th now being the date given for when it will be added to the game. You can check out a blog post about that here, with a short video of it in action below. Overall: I can't say I was overly impressed with this expansion, but then again I'm not an avid player of the game like some out there. The guy who plays the game on a daily basis and has a group of friends who own the game too will get a lot more out of it than I did. Average noobs like myself however will just find themselves putting it down once the rockudrama part of the game is done with, with online play next year being the only shining light in making me want to return.